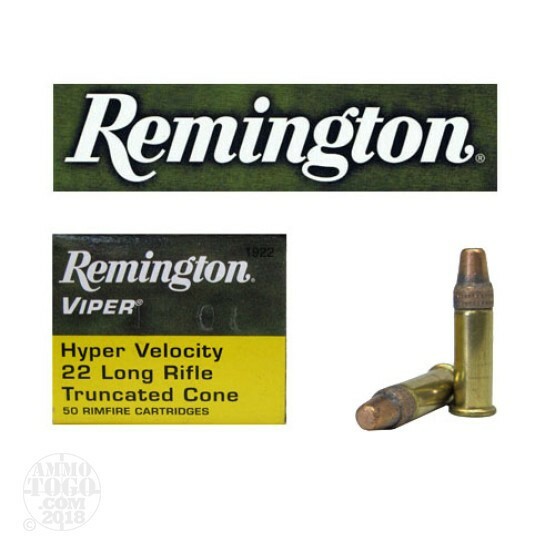 This is .22 Long Rifle Remington Viper Hyper Velocity 36gr. Truncated Cone Ammo. This ammo travels at 1410 fps and has 159 ftlbs of energy. It is packed in 50rd. boxes, 500rds. per brick.